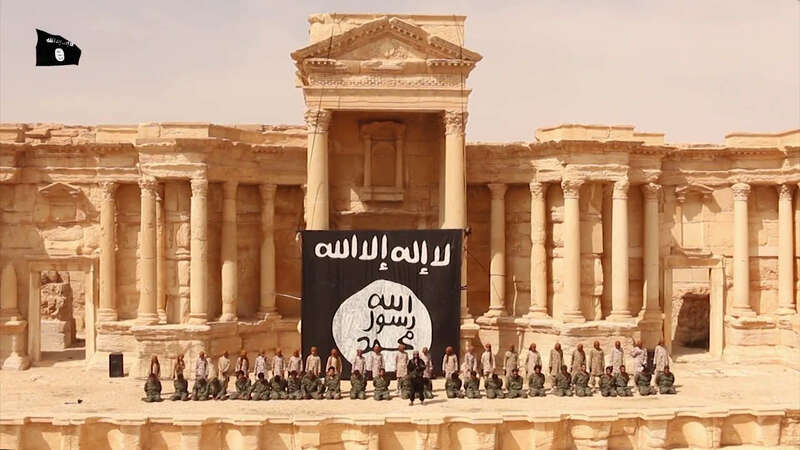 The so-called Islamic State of Iraq and Syria (ISIS) – also known as ISIL, IS and Daesh – has during the last years disseminated videos throughout the Internet in a new recruitment and media strategy focusing on the destruction of cultural heritage. This phenomenon will be used as a point of departure to reflect on the related global image war and the accompanying dissemination of moving images through multimedia archives and pseudo-archives on the Internet. Drawing mainly from Pasi Väliaho – but also Wolfgang Ernst, Ömür Harmanșah and Charles Merewether – I discuss how ISIS, in a highly technologically conscious way, is launching a campaign of violent imagery with the aim to target humans on an “evolutionary level.” I further argue that related contemporary image wars should best be understood as taking place at the level of immunopolitics. Finally, from the perspective of media archaeology, I end with a discussion on the digital archives utilized by ISIS – a discussion which ties in with more general notions of archival inscription, storage and access. A still frame from an ISIS video depicting the mass execution of Syrian soldiers at the ancient city of Palmyra, which was captured and ransacked by ISIS in May 2015. Since 2014 ISIS has, besides their earlier violent abuses and beheadings, waged an infamous campaign against cultural heritage in northern Iraq and Syria – damaging museums and archaeological sites in Mosul, Nimrud, Hatra, et al., filming it and disseminating the resulting videos on the Internet.1 In turn, the moving images have been spread through traditional mainstream media, resulting in what Ömür Harmanșah has called a counter-heritage campaign as a “media performance on a global scale.”2 The key word to consider here is performance – what it entails is a discursive critique of the disseminated images: that they are not just objective documentary evidence of an event, but rather a performative, staged spectacle with the video as the goal in itself. In other words, ISIS’s bio-politics are constituted by the very aim of reaching different media outlets. Needless to say, ISIS’s videos are not created to deal with fear and anxiety, but rather they are created to achieve those very reactions – to define and capture humans in a psychobiological state of emergency.6 Väliaho’s line of thinking on these lines at least seems applicable to the more violent of ISIS’s imagery, like their videos of beheadings, in which the apparent lack of respect for human life and the brutal inscription of history with violence or “performative violence” is used as primary means of creating fear and anxiety in the viewer. It should also be noted at this point that of course the aim of such videos is (at least) twofold – for instance, it is presumably also to attract new recruits. This is my initial reading of the ISIS images – I will come back to a discussion on how they function further on. But in order for such a discussion to be productive, we need to look at the broader archival context within which the imagery is disseminated and consumed. Drawing from the work of Bessel van der Kolk, Charles Merewether writes about Shomei Tomatsu's artistic photography essays dealing with the aftermath of the Nagasaki bomb. The photographs acknowledge discontinuities between the document and the referent – by re-staging or repeating the original event – and also show how the traumatic event caused “unassimilated,” “overwhelming” experiences which need to be transferred into narratives.7 Through photographed, metonymic objects the event is again actualized and present, bringing into focus the two separate times – the traumatic past as well as the remaining pain of the present. Virtual reality exposure of this military kind is of course done with special techniques (stereoscopic 3D glasses, headphones, props, etc.). My assumption is that the ISIS videos will mainly be consumed on cell phones and computers screens through multimedia archives (social media, websites, etc.) and on TV screens through mainstream media (news reports and the like). Needless to say, this means that the moving images of the U.S. military and ISIS, respectively, will not be consumed within the same kind of dispositional context. It is a seemingly important difference, but where should the line of distinction be drawn more exactly? According to Väliaho, one thing that distinguishes the military’s virtual reality is the way it seeks to enter the brain’s “endogenous production of images” – that is to say, that the images originate from the human organism itself.9 The virtual reality environment is able to achieve this by exploiting the brain’s inherent plasticity – its ability to readjust and recreate its neural connections, constantly.10 Is this also the case with the ISIS videos, since they seek to release fear and anxiety? One thing that seems different at a first glance is virtual reality’s specific way of substituting direct human perception; the experience and phenomenological aspects of war, so to speak. But, importantly, it could also be understood as possible with a conception of trauma as organized in a specific way. Discussing the human perception in relation to trauma, Väliaho is referencing van der Kolk, who claims that the memories of trauma may carry no verbal, explicit component but are rather taking place on an “implicit or perceptual level” and without any representational narrative.11 According to van der Kolk this also implies that the traumatized person carries memories that are tied not only to personal experiences, but to evolutionary functions as well.12 That is, that the emotional experiences function in order to organize the organism’s “survival responses.”13 In the U.S. military example, the virtual reality environment thus serves to train for such experiences – to make the bodily functions more tolerant to stress at the “evolutionary level” – and also to return to past experiences in order to help in the rewriting of memory, as Farocki's images also show. According to Väliaho, one way of achieving this is to “open up pathogenic affects for modification by exposing the subject to ‘feared stimuli’.”14 This means that in the training and treatment the subjects will experience the simulation of violent, traumatic scenes (like the ones they have or may experience). The quote leads us back to the main question of the current essay, namely what the images can achieve in terms of playing a part in these immunopolitics. When it comes to military virtual reality, the answer has already been touched upon through Väliaho. But in fact, also the ISIS can be connected to what Väliaho calls “the more general autoimmunitary crisis” of the global consumption of violent imagery. The key point he makes is that just as the military virtual reality these images originate not so much from what they actually show but from their “modular nature” – the endogenous production of images – which makes the subject “violently attack any element of threat, even itself.”23 These violent images – like the ISIS videos – pierce the highly saturated media noise, with their extreme graphic content and underpinned by new technologies and the global economy, in what Bruno Latour has called “iconoclash:"
To further explore ISIS's role in these “image wars” it is fruitful to move beyond the level of discourse, iconology and cultural history towards the “cold gaze” of media archaeology. From this perspective we can see how the archives actualized so far in this text are regulated more concretely and inherently by their technological frameworks. Needless to say, it is not possible to cover or exhaustively explore the almost infinite questions that the ISIS videos raise in relation to media archaeology. The aim is rather to outline how the technological framework specific to the ISIS videos has important implications for political and aesthetic frameworks of reception. Interesting in relation to Bruno Latour's notion of iconoclash, Wolfgang Ernst writes about television and how it constantly has to provide the unexpected. He cites Kay Kirchmann, who claims that “[...] 'ideal television is the unpredictable under total control of its mise-en-scene. '”25 The unpredictable is especially highlighted in television when it is recorded and thus can be replayed. Still, television news programs were at first tied to the condition of strictly live broadcasting. That is, the event and the news of an event were at first intertwined. But with the technological development television was quick to exploit “the paradox of magnetic storage and live effect.”26 What this means is that the catastrophic is “closest to the medium itself,” from the media archaeological perspective, according to Ernst.27 There is a meta-level, if you will, to this – the medium is playing itself and its possibilities. In contrast to early television, as described above, YouTube clips and the documents of most digital archives can in theory be uploaded, stored and accessed at any time – “digital archives” in this context denoting mainly social media and other pseudo-archives on the Internet. To clarify the terminology further, most of large searchable databases on the Internet can be labeled pseudo-archives. But, importantly, a pseudo-archive can't have the detailed metadata and the authorized selection and commission which characterizes a larger official archival institution (in a strict legal-administrative sense). By this definition YouTube would be the current example par excellence in terms of moving image pseudo-archives. According to Ernst, what characterizes such a digital archive is that it is “(co-)produced by online users for their own needs.”32 But what is of most interest are the factors that still will regulate a pseudo-archive like YouTube beyond the influence of its users. Because even if in theory you can upload “anything at any time,” in reality you cannot. To conclude, it is important to note that the imagery discussed is very much situated in a political and historical context – in fact, the images reflected on originate from the same conflict. The soldiers seen in Farocki’s images and the ISIS videos are both connected to a geopolitical conflict zone, namely the Middle East and in particular Iraq. They could also be connected to the highly inflated discourse on terrorism, the so-called West-East conflict and the “post-9/11” U.S. foreign policies. As I have at least in part shown, the ISIS videos are constitutive elements of this ongoing conflict. But as outlined in this essay, they are not only polarizing on a discursive level – that is, reproducing the “West-East” discourse – but they also create a direct sense of emergency and existential threat, since they target fear and anxiety on an evolutionary level. For this reason alone, it is important to further research how the videos are produced, disseminated and consumed. Ernst, Wolfgang. Digital Memory and the Archive. Minneapolis/London: University of Minnesota Press, 2013. Accessed January 12th, 2016, http://melhogan.com/website/wpcontent/uploads/2013/11/Ernst-Wolfgang-Digital-Memory-and-the-Archive.pdf. Fossati, Giovanna. From Grain to Pixel: The Archival Life of Film in Transition. Amsterdam: Amsterdam University Press, 2009. Accessed January 10th, 2016, http://www.google.de/url?sa=t&rct=j&q=&esrc=s&source=web&cd=1&ved=0CCMQFjAA&url=http%3A%2F%2Fwww.oapen.org%2Fdownload%3Ftype%3Ddocument%26docid%3D369986&ei=pGxXVIyOG4KQPa_sgOgG&usg=AFQjCNGX07ZrDt8MVOxS0FsXSyauQjqHaQ&bvm=bv.78677474,d.ZWU. Foucault, Michel. “The Historical a priori and the Archive.” In The Archive, edited by Charles Merewether. Cambridge, MA: MIT Press, 2006, 26-30. Harmanşah, Ömür. “Isis, Heritage, and the Spectacles of Destruction in the Global Media.” Near Eastern Archaeology 78, No. 3 (September 2015): 170-177. Merewether, Charles. “A Language to Come.” In The Archive, edited by Charles Merewether. Cambridge, MA: MIT Press, 2006, 121-138. Väliaho, Pasi. “Affectivity, Biopolitics and the Virtual Reality of War.” Theory, Culture & Society 29, No. 2 (March 2012): 63-83. 1.) Ömür Harmanşah, “Isis, Heritage, and the Spectacles of Destruction in the Global Media,” Near Eastern Archaeology, Vol. 78 Issue 3 (September 2015): 171. 5.) Pasi Väliaho, “Affectivity, Biopolitics and the Virtual Reality of War,” Theory, Culture & Society, vol. 29 (March 2012): 64ff. 7.) Charles Merewether, “A Language to Come,” in The Archive, ed. Charles Merewether (Cambridge, MA: MIT Press, 2006), 126f. 25.) Wolfgang Ernst, Digital Memory and the Archive (Minneapolis/London: University of Minnesota Press, 2013), accessed January 12th, 2016, http://melhogan.com/website/wpcontent/uploads/2013/11/Ernst-Wolfgang-Digital-Memory-and-the-Archive.pdf, 107. 38.) Michel Foucault, “The Historical a priori and the Archive,” in The Archive, ed. Charles Merewether (Cambridge, MA: MIT Press, 2006), 28f. 39.) Giovanna Fossati, From Grain to Pixel: The Archival Life of Film in Transition (Amsterdam: Amsterdam University Press, 2009), accessed January 10th, 2016, http://www.google.de/url?sa=t&rct=j&q=&esrc=s&source=web&cd=1&ved=0CCMQFjAA&url=http%3A%2F%2Fwww.oapen.org%2Fdownload%3Ftype%3Ddocument%26docid%3D369986&ei=pGxXVIyOG4KQPa_sgOgG&usg=AFQjCNGX07ZrDt8MVOxS0FsXSyauQjqHaQ&bvm=bv.78677474,d.ZWU, 110f. Christian Rossipal graduated in 2017 with a Masters degree in Cinema Studies from Stockholm University in Stockholm, Sweden.